Bainbridge Island, Washington, USA; pond, 1000x, DIC. 04 Apr 2009. Karl Bruun. © Karl Bruun (skogenman@earthlink.net). Yakima, Washington, USA; golf course, 400x, DIC. 28 May 2008. Karl Bruun. © Karl Bruun (skogenman@earthlink.net). 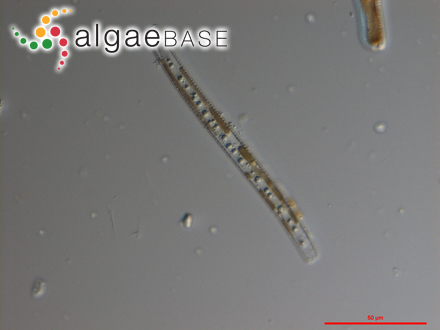 Type locality: Germany: Wittenberg (Silva 1996-to date). Krammer, K. & Lange-Bertalot, H. (1997). 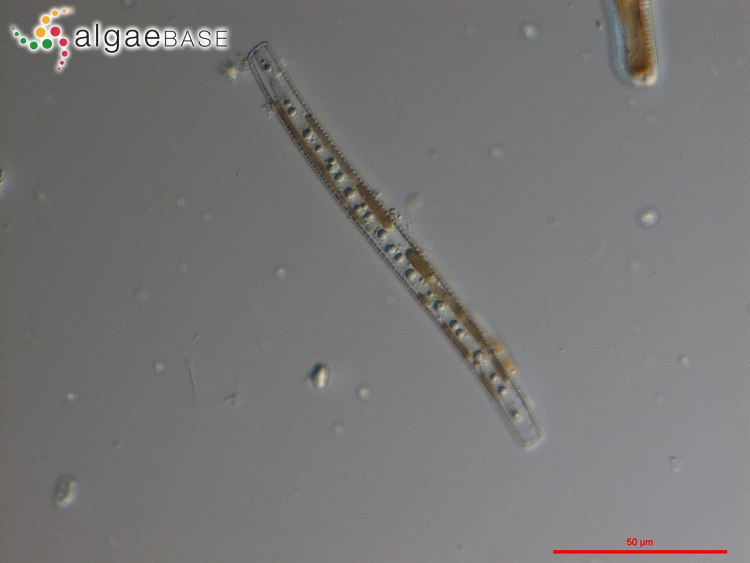 Bacillariophyceae. 2 Teil: Bacillariaceae, Epithemiaceae, Surirellaceae. Süsswasserflora von Mitteleuropa 2/2, Begründet von A. Pacher. Herausgegeben von H. Ettl, J. Gerloff, H. Heynig, D. Mollenhauer. Band 2/2. pp. [i]-x, -610, 184 pls with 1914 figs. Jena: Gustav Fischer. Accesses: This record has been accessed by users 6063 times since it was created. Knattrup, A., Yde, M., Lundholm, N. & Ellegaard, M. (2007). A detailed description of a Danish strain of Nitzschia sigmoidea, the type species ofNitzschia, providing a reference for future morphological and phylogenetic studies of the genus. 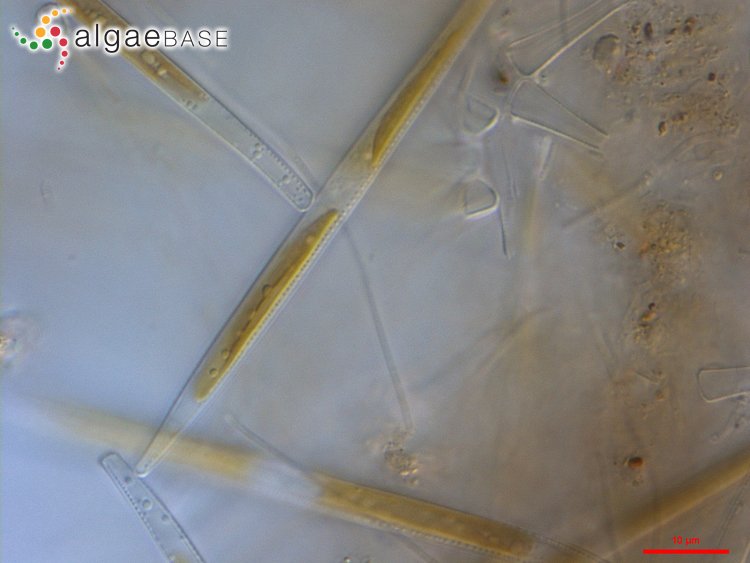 Diatom Research 22(1): 1-5-116. Mayama, S., Mayama, N. & Shihira-Ishikawa, I. (2004). 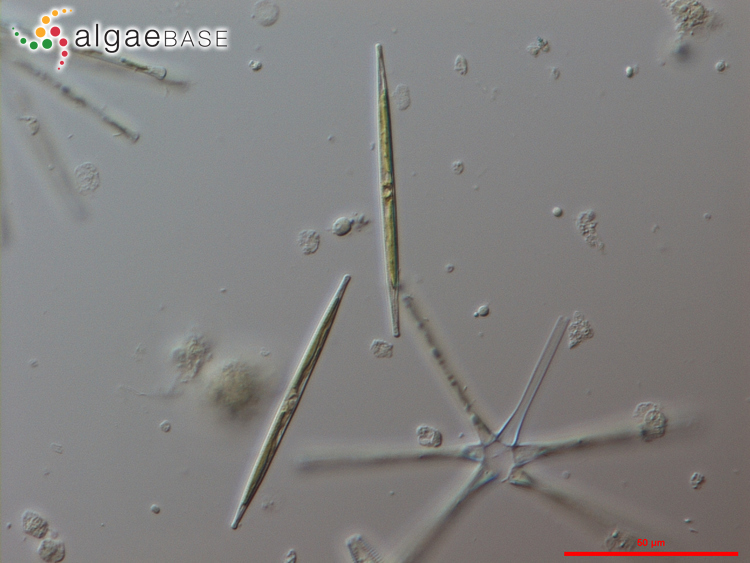 Characterization of linear-oblong pyrenoids with cp-DNA along their sides in Nitzschia sigmoidea (Bacillariophyceae). Phycological Research 52: 129-139.